Thanks to its history, Salem, Massachusetts has become one of the most well-known towns in the state. Salem is made up of about 45,000 residents, many of which live in town with their families. Salem borders Peabody, Lynn, Swampscott, Marblehead, and Beverly, making it not only a short drive from Boston but also close by the water and several beautiful towns. Though many people know Salem MA for its historic witch trials, it is known to locals as a scenic town popular for families to settle down. 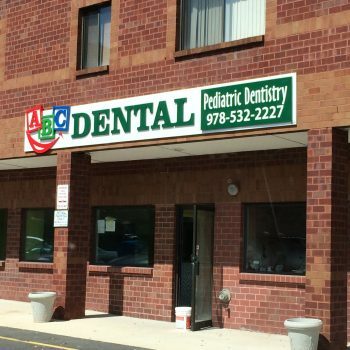 At ABC Dental in Peabody MA, we have founded our practice based on the idea of making a comfortable environment to both take care of children’s oral health but also to teach them how they can take care of their oral health themselves. 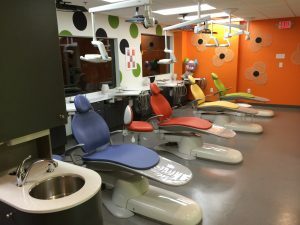 By offering both pediatric dental care as well as orthodontic care, we stay with our patients from a young age throughout their teenage years. At ABC Dental in Peabody, we know how important it is for children to start seeing a dentist early on. We encourage all parents to bring their children for a dental examination soon after their first birthday. Starting visits early will allow most dental problems to be caught early on and avoided. Making dental visits a norm for your child will make future visits much easier! Our staff are trained and specialized in treating infants, children, teens, and children with specials needs. We have several patients from Salem MA including students from Bates Elementary, Carlton Elementary, Salem Prep High School, and Salem High School. In addition to general dentistry services, our orthodontists department offers braces and Invisalign for kids and teens to straighten crooked teeth for a more confident, happy smile for life. To see our full list of services, click here. If you would like to schedule a consultation or appointment fill out the contact form located on this page, or if you have any questions about our practice give us a call at: (978) 532-2227. We look forward to hearing from you soon!